BioCanRx, Canada’s Immunotherapy Network, is pleased to announce a Call for Expressions of Interest to bring forward in our Cycle II application in June 2019 to the federal government’s Networks of Centres of Excellence (NCE) Program. BioCanRx was first awarded a 5-year funding award of $25 million from the NCE Program, with additional contributions coming from partners in all sectors of the economy. This first NCE award ends March 31, 2020, and we are now developing our research program strategic plan as the network moves towards Cycle II. This Expression of Interest (EOI) is your opportunity to assemble a team and propose research for consideration, and also to shape the overall renewed research program framework in alignment with the new strategic priorities identified in extensive consultation with our various stakeholder communities – our Board of Directors, Research Management Committee (RMC), the Cancer Stakeholder Alliance, and representatives from our community of Network Researchers. 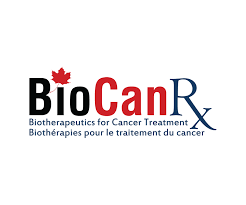 While BioCanRx has engaged in an in-depth consultation process, this EOI call is vital to gather feedback from our existing and potential new network members on the focus and intended outcome of our next-stage strategic plan, and to validate this approach for our renewal application, such that we are positioned to capture the best technologies and solutions to cancer immune oncology therapeutic development and implementation in the Canadian context. This intake of project concepts is intended to inform BioCanRx Management, our Board of Directors, and our RMC of the range of projects and technologies within the Canadian landscape which are poised to address BioCanRx priorities and initiatives in the 2020-2025 funding cycle. This call is open to all investigators located at Canadian institutions eligible to receive peer-reviewed funding from the three federal research-granting councils (CIHR, SSHRC, NSERC). Projects in Cycle II will build upon BioCanRx investments between 2015-2020, furthering the development of the most promising biological immunotherapy products and platforms, and solutions for their delivery and adoption in Canada, considering critical challenges in the IO development landscape in Canada, and globally. Biologically relevant cancer targeting (pathways, tumour microenvironment elements, immune cell subsets). Research should be multidisciplinary and consider implementation in the Canadian context, whether addressing technological hurdles, commercialization hurdles, or policy/reimbursement/health system hurdles. BioCanRx places high emphasis on project teams that are multi-disciplinary and collaborative. At this time, as BioCanRx aims to maximize the utility and success of our Cycle I investments in our current portfolio of projects, applicants should aim to develop submissions which will further aid the transition of these technologies towards clinical testing and evaluation, capitalize on the opportunity to glean translational biology from projects in or near the clinical setting, or complement the use of these therapies in clinic. To be eligible to apply, the applicant must be employed by a Canadian research institution and be eligible to receive research funds from CIHR, SSHRC or NSERC. The application package must be delivered by email to applications@biocanrx.com and must be received by 11:59 am ET, Tuesday July 31, 2018. Please direct questions about the program and application process to Kelley Parato, BioCanRx Director, Scientific Affairs (keparato@biocanrx.com; 613-739-6595) or Stéphanie Michaud, BioCanRx President and Chief Executive Officer) (smichaud@biocanrx.com; 613-739-6202).